When we built our home two years ago, I told the designer that the bathrooms weren’t my first priority. Since we had limited resources and a tight budget, I planned to DIY our bathroom upgrades later, when it was more realistic. Now that time has come. I’ve been focusing on designing a beautiful guest bathroom, and I’ve found some impressive DIY bathroom upgrades that I didn’t realize were possible! Most of them involve very little money, and minimal work. 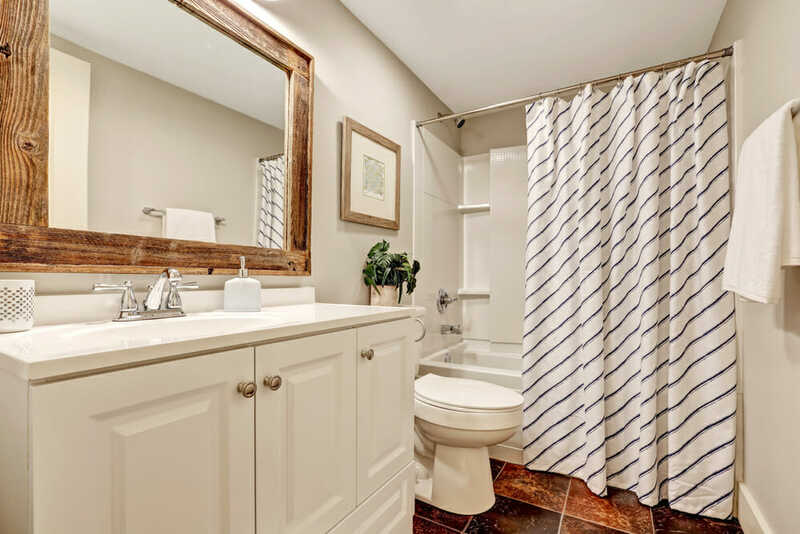 These do-it-yourself bathroom makeovers are perfect as a long-term addition, or even as an inexpensive but stylish revamp to hold you over until you can do a full remodel. Many basic bathrooms come with a glass mirror adhered or clipped to the wall. 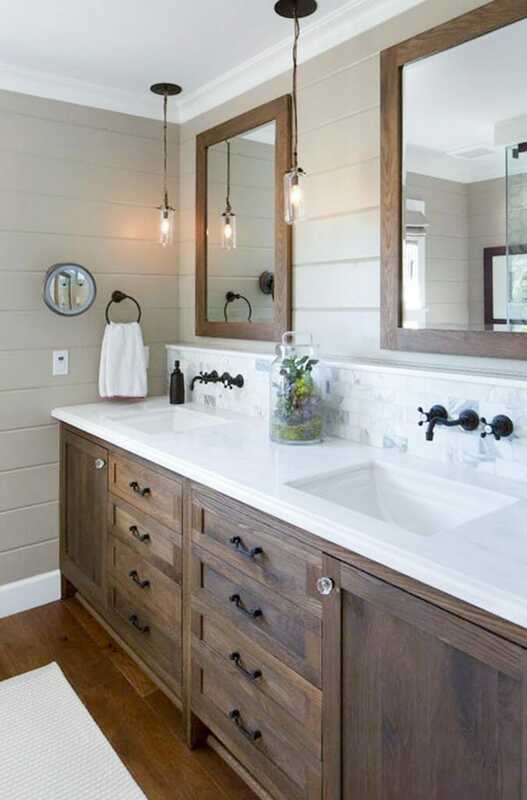 Rather than pulling it off, refinishing that section of the wall, and buying a new, large mirror, you can add a wooden frame to the mirror you already have, creating a beautiful and finished look. The possibilities for style and color are endless, so this DIY allows you to really have fun and show off your design personality. It can be expensive and tedious to switch out all of your bathroom fixtures, but with a couple layers of auto-grade paint you can turn the old, shiny chrome into a sleek oil-rubbed bronze or matte brass. It’s an easy way to add a transformative change to your bathroom without much work—and the results are impressive. Colored ceramics were a huge hit for bathrooms in the 1950s, especially in pink, mint, and baby blue. And plenty of homeowners put up with their pastel-hued bathrooms to avoid a pricey and complex remodel. But there’s a much easier and cheaper solution! Ceramic epoxy is simple to use and will refinish those older ceramics into sleek white sinks and counters. The transformation is simple, inexpensive, and really effective. 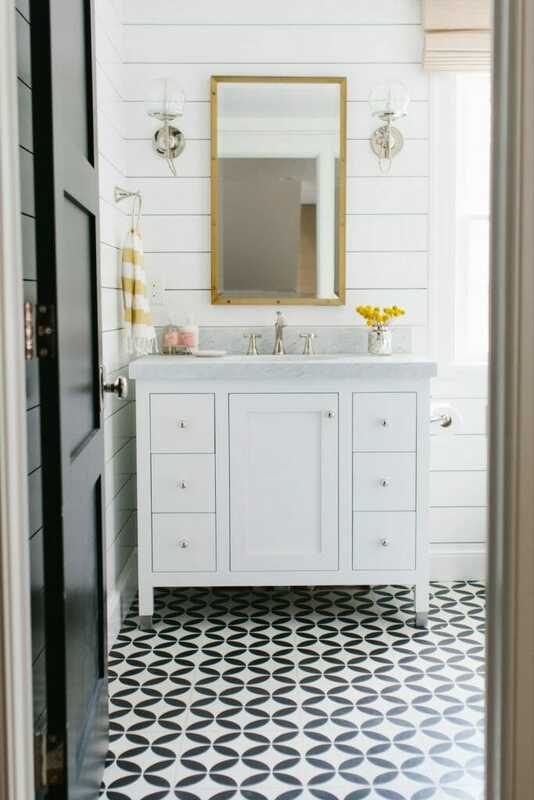 Patterned cement and encaustic tile are so on-trend, but unless you’re starting with a new build or doing a full remodel, you probably won’t want to pull up all of your existing tile to replace it. Did you know you can get the same look with chalk paint and a stencil? 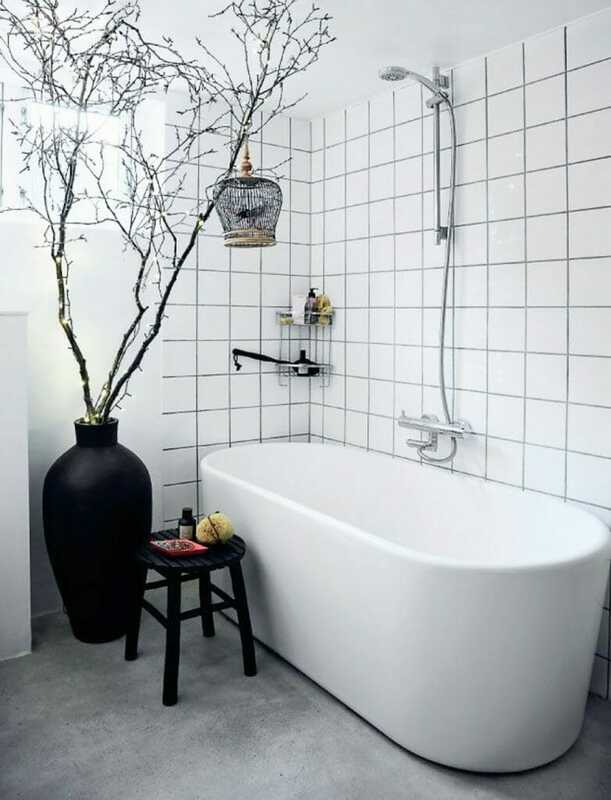 I actually love my slate tile floors, but am considering trying this anyway! 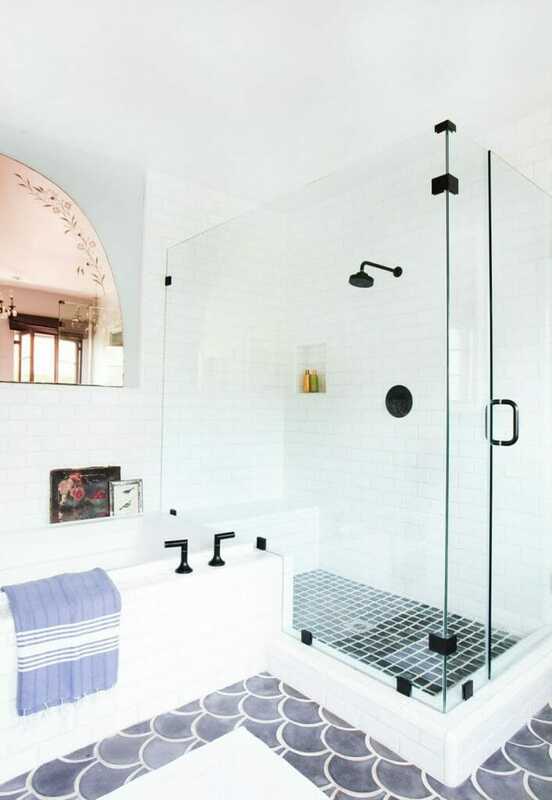 I love the look of light tile and dark grout, but when we built I had everything put in white on white. Staining the grout dark is a simple and easy way to mimic the modern, international look of classic subway tile. I’ve done this at our home, and loved the results. I had no idea that there were so many simple yet dramatic DIY bathroom upgrades besides the standard switching textiles and painting the walls. These do-it-yourself projects make a big impact by upgrading the fixtures, hardware, and whole landscape of the bathroom—you can even do all five in just one weekend! All images from my Modernize Board on Pinterest. Miranda Anderson is the maker, seamstress, foodie, explorer, and the blogger behind Live Free Creative Blog. She shares tips and tutorials for motherhood and making, to inspire people to live a simple, creative life.